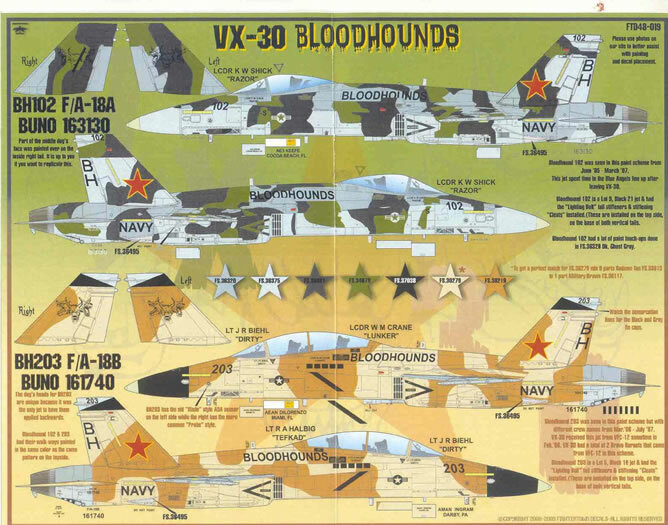 Navy Test and Evaluation Squadron 30 (VX-30) has been represented only sporadically until now. 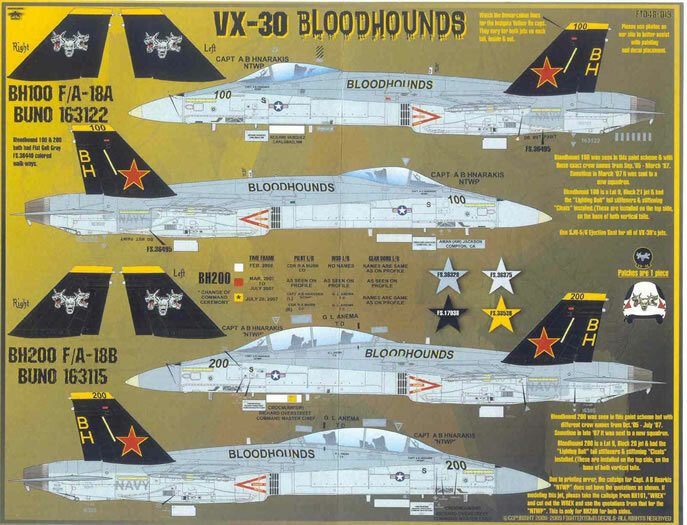 Sharing a sheet of decals with VMFA-225 on TwoBobs’ sheet #48-163. and a Superscale sheet (#48-1197) with VFA-83, they have been under-represented in the scale modeling world. 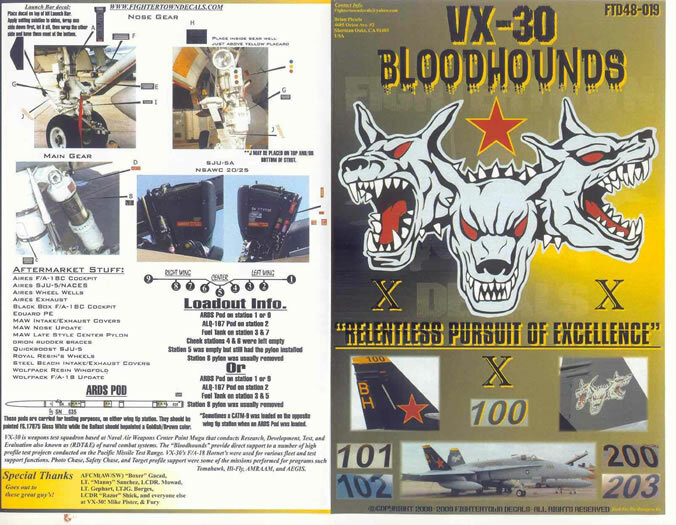 With one of the most intimidating squadron logos, and some of the most eye-catching schemes, modelers of modern Naval Aviation subjects have been left largely out in the cold with regards to having a Bloodhound or three in their kennel. 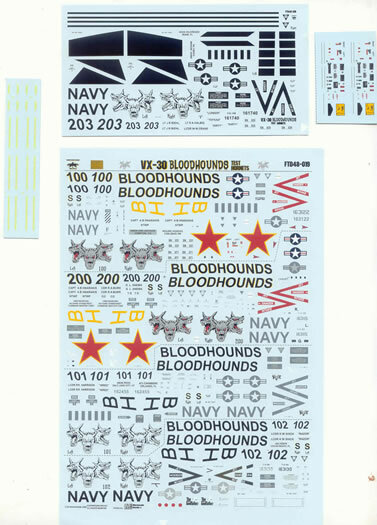 Like several other decal manufacturers, Fightertown has numerous contacts in the comm.unity their products focus on; in this case, Naval Aviation (like, there’s any other kind?). 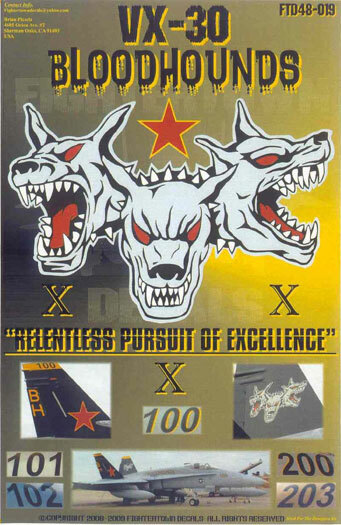 OK, those Air Force guys are pretty tight, too! My point is this: their subjects are painstakingly researched, and every detail is reproduced.